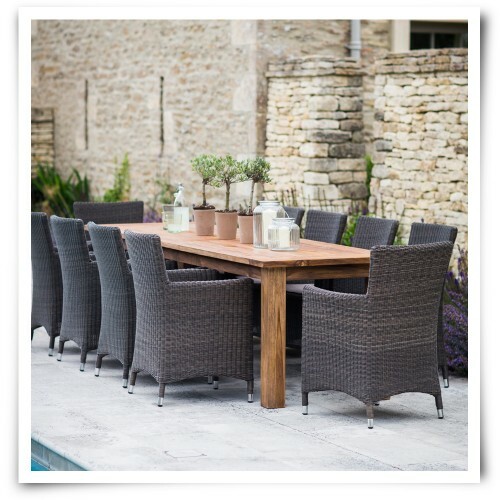 Prepare for dining outdoors with family and friends with the St Mawes 10 Seater Table Set. Crafted from Reclaimed Teak, the rustic Refectory Table with its natural raw finish has been crafted and selected by hand. At 3 metres long the table would fit perfectly in a large patio, decking or courtyard area.